Are you going to get your first Labrador puppy, but did not have enough information. You want to know about the cost of Labrador puppy, his feeding, living etc. Here in this article, you can know the pros and cons of a Labrador dog. 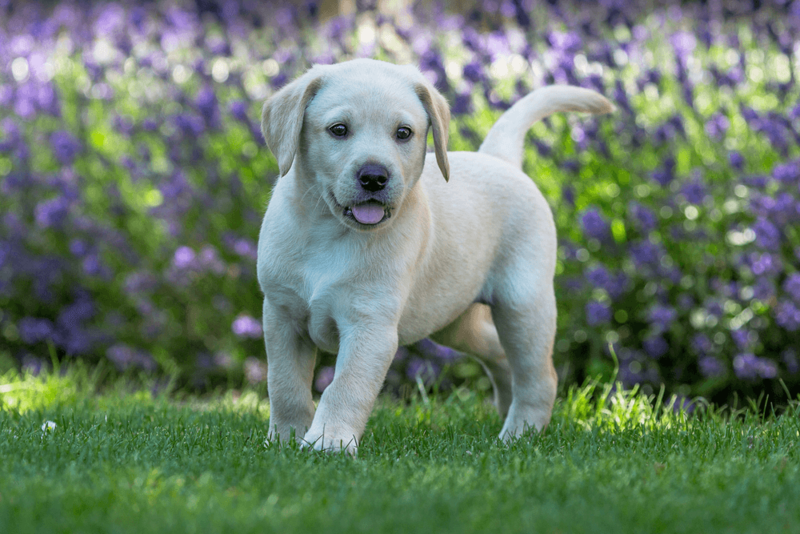 We have collected 5 things you must know before you buy a Labrador puppy. So, you have finally decided to get a Lab puppy. The cost involved in buying a Labrador, will not matter, because it is one-time only. 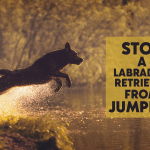 There are other costs involved in keeping Labrador happy and healthy and these matters. 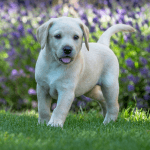 Labrador Puppy price varies from country to country and breeder to breeder. In the USA, the cost is usually between $500 to $800, but there are many variables that affect its cost. If you have a friend that have Labradors, you can get a free puppy from him. Cost of buying a Labrador is much little than his feed, health, play and exercise cost. 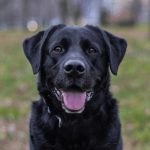 Once you have a Labrador in your life, you will never want to lose him, so before buying it, you must have to consider these 5 things. Can you afford a Labrador? So, we will go through these 5 things one by one. 1. Can you afford a Labrador? The first thing you need to know is “can you afford a Labrador?”, you may have the price to buy a puppy, but do you have money to bear his other expenditures? Labrador always needs dog food available in the market, bed, toys and health care. You may also need to buy the vehicle accessories, outdoor dog home, blanket, collar, grooming brush, waste disposal, lawn care and gifts (Visit Shop for prices). All these costs are much higher than the Labrador puppy price. Food cost rise with the age of dog. He also needs supplements and gifts. If you can afford all these, then you should buy the puppy. Labrador needs your time. He doesn’t have the habit of living alone. He also needs daily exercise, training and playing. So, you must have at least 2-3 hours daily for your dog. Daily 30-40 minutes of exercise is must for his health and activeness. Training is also necessary due to age limit 6 weeks to 8 months and to prevent bad habits. If you do not have enough time, then one of your family members can do that. Labrador happily accepts other family members and animals. Bad habits like chewing, jumping and barking may rise if the dog lives alone for the most of the time. 3. Do you have Space in your Home? Don’t go with the puppy size, Labradors are among one of the heavy breeds of dog. You should have enough space in your home for him. Labradors average size is about 55-64 cm and weight is 25-36 kg. If you have a lawn in your home, that is much better. Proper dog house and bed is also necessary. You may also need to care about your furniture due to his habit of chewing. This can be prevented by providing chewing toys. A dog also needs direct access to the garden. You can put his bathroom accessories in home and garden. He must be potty trained as early as possible after proper age. If you live in a small home or apartment, then this breed may not be the best choice for you. Smell and shedding are the major problems in Labradors. They shed a lot due to dense coat. You can see his hairs all around the home. You can feel a typical dog smell from him. However, this can be prevented by the dog’s shampoo. Labrador also has the bad habits of chewing and jumping. He may jump on kids and elders. He can chew and damage your home furniture. Therefore provide him with toys for chewing. They may also have health problems like hip dysplasia, joint or paw injury. Contact the veterinarian if something like this happens to your dog. 5. 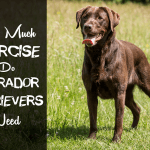 Labrador Need Training and Exercise? Exercise is necessary for his health and to prevent muscle damage. They are very energetic dogs and they love to play and exercise. Take him outside with you, if you go biking in the morning. They need 30-40 minutes daily light exercise. Training is as necessary as exercise. They must be trained from 6 weeks of age. Training includes teaching him commands like sit, stand, stay, no. If you are a busy person and don’t give proper time to your dog, then this breed maybe not for you. So, after reading all the above points, if you think you can manage all these things, then go, buy your first Labrador Puppy. If we talk about the benefits of a dog, then these are much more than his disadvantages. He loves you, cares you and will be always with you when you need him. hey there and thanks to your info ? I’ve certainly picked up something new from right here. I did on the other hand experience a few technical points the usage of this website, as I experienced to reload the site a lot of instances previous to I could get it to load correctly. I had been considering if your web hosting is OK? No longer that I’m complaining, but sluggish loading instances occasions will sometimes affect your placement in google and could harm your high quality ranking if advertising and marketing with Adwords. Anyway I am adding this RSS to my email and can look out for a lot more of your respective intriguing content. Make sure you update this once more very soon.. Thank you for your opinion, We will definitely check our website to know if there is an issue and keep updating you about our latest content.